The humidity is increasing & the pool lanes are getting busier, which can only mean one thing - good bye Dry Season, hello Build Up & beware Mango Madness! In tri club land we are excited to bring you our three event Super Sprint Series which kicks off this weekend. A fourth event will also be held with start times to be based on handicaps calculated on times posted during the series. You (our members) asked for it, so don't miss out, get your online entries in for all three or just selected event dates here. Important: We are still seeking volunteer RD's for each of the events 13 Sept, 27 Sept, 11 Oct. Volunteering as RD earns maximum points, so we encourage you to consider giving up just one race to benefit the club. Anyone who hasn't yet been RD will be mentored through the process, so don't be shy. 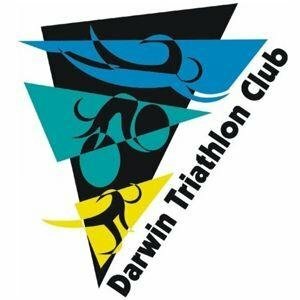 If you are willing to help out please email darwintriclub@gmail.com now. Earlybird online entry for full series (or you can select your dates) open until 8pm Friday here. 1. We usually have high turnout for this distance, so your early entry will be appreciated. 2. Roads are open so all traffic regulations apply including stopping if lights are RED. 3. This is a non drafting event and please ensure you keep to the left of the lane unless overtaking. 3. Please check the basic rules of triathlon. 1. Challenge Laguna Phuket Tri-Fest is a great end of year event. The Laguna Phuket Tri (22 Nov) is 1.8km swim, 55km bike, 12km run & Challenge Laguna Phuket the following weekend (1 Dec) is 1.9km, 90km bike, 21km run. The courses are different but each has a challenging bike course and an awesome sense of achievement on finishing. Many competitors make a week off it and do both events! 2. Going to be down south in January? Check out Challenge Melbourne (31 Jan 16). 3. Congratulations to the winners of our Series entry competition - lst to enter Lorna Perry (club cap), 11th to enter Barry Sullivan (club t shirt) & 20th to enter Rosie Sullivan (club cap). You can collect your prizes on Sunday! 4. Big crew heading for Ironman 70.3 Sunshine Coast this weekend including Kate Robertson, Aiden Geaney, Rachel McLean, Matt King, Andrew Hardy, Corinne Fabian, Ange Castle, Jamie Hagan, Amy Pallentine, Jac Crofton, Heath Porter, Luke Fronsko, Sally Broadley, Angela Librio, Kylie Scholz, Tim Green, Nick Hubbard and Phil Blumberg. Good luck! 5. You can live track all the action from the Sunny Coast at www.ironman.com. 6. Stingers don't know the date & they have already stung off Casuarina Beach. Lucky we now shift to Lake Alexander! 8. Club t shirts will again be on sale on Sunday after the race. $15 each or 3 for $40. Some colour choices already unavailable so bring some $$$ with you before they are all sold out. 9. Tri legends Michellie Jones, Peter Robertson & Emma Snowsill to be inducted into the ITU Hall of Fame. Volunteer RD Ron Griep lines up competitors to get the start underway at our last event. We need members to put up their hand to act as RD at our upcoming events. Mentoring & lots of help available (permits, sanctioning already done, ambulance, water safety organised & we have people happy to give Race Brief if it's not your thing).